With Ninja Ways, Red Tiger takes you into the mysterious, wonderful world of the Ninja. He is fast, invisible and deadly: the Ninja. Luckily he is on your side in this slot game and helps you making many winning combinations. Sometimes he is extra generous and adds some multipliers and Mega symbols. We have been a Red Tiger’s fan for quite a while (actually from day one), mainly because their slots always surprise and manage to entertain. We also appreciate the mini features in their games being extremely lucrative. So the mathematical models of Red Tiger result in very well designed games. Of course, the Random Number Generator determines whether you win or lose, but the underlying mathematics must ensure an attractive distribution of payouts. It’s possible to win up to 10,000 x your total bet with Ninja, and it’s packed with fun mini bonus features and an attractive main bonus. 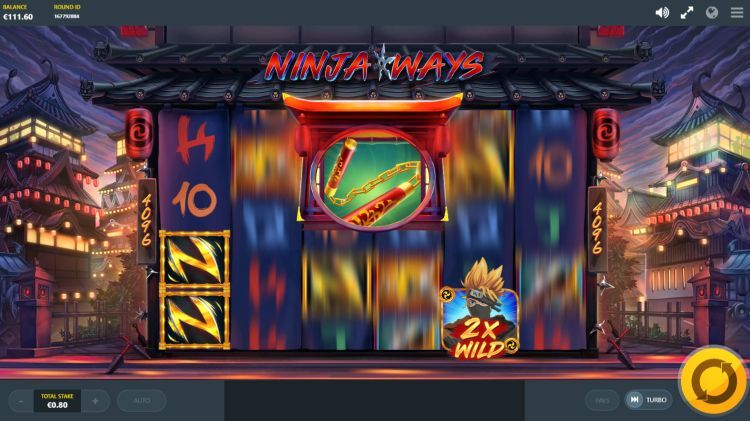 Have you already noticed that we are fans of this Ninja Ways slot machine? 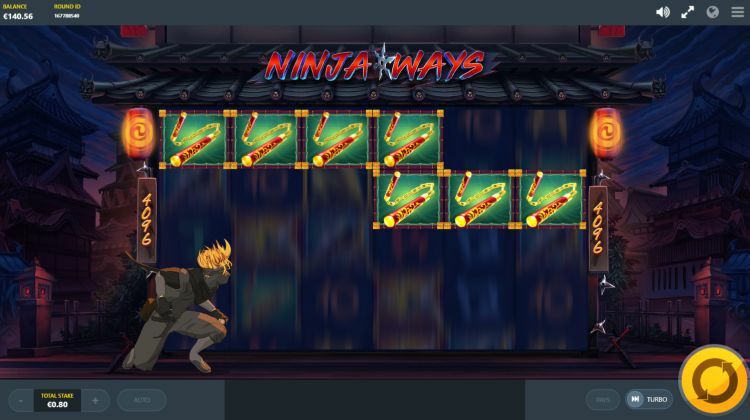 How does Ninja Ways work? You play Ninja Ways on 6 reels with 4 rows of symbols. The win all ways mechanism is active: no fixed paylines, but 4,096 ways to win. You can bet from $€ 0,10 per turn. The maximum bet is $€ 40 per spin. We estimate the variance of Ninja Ways to be medium. The theoretical payout rate is 96.03%. The highest paying symbol is the yellow-black ninja symbol. If you spin 6 of these symbols, you win 8 x the total bet. We also encounter a spear, a ninja star and a nunchaku. These typical Ninja handheld weapons are worth between 3 x and 5 x the total bet for a 6-of-a-kind. Finally, there are the low symbols 10, J, Q, K and A and award you between 0.8 x and 2.5 x for a 6-of-a-kind. This video slots easily can get you a super big win even with low symbols. The win all ways mechanism allows you to spin the same winning combination several times and you can also hit additional multipliers (up to 8 x). Wild Multiplier: On the screen appears a wild symbol with a multiplier up to 8. Our Ninja friend also provides a mega symbol. This combination often leads to very nice payouts. Mystery symbols: The Ninja jumps, runs, flies and climbs across the screen. He leaves behind some of the same high symbols on the reels. A small warning in advance: it is tough to win the free spins bonus. And by that, we mean: really difficult. That is the bad news. 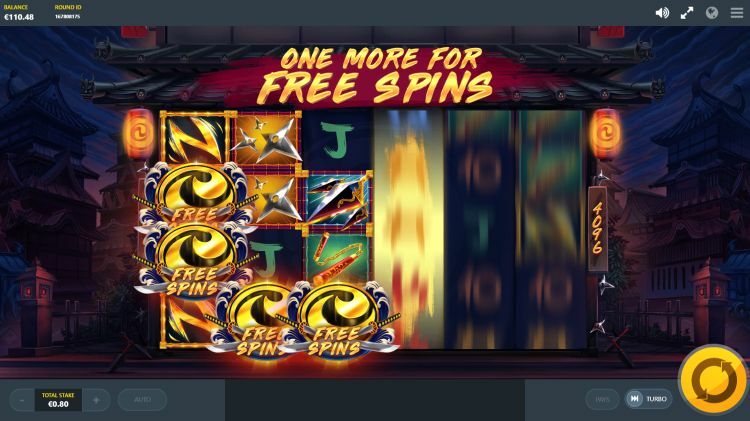 The good news, the free spins bonus can pay out very handsomely when you finally land it. You win the free spins by turning at least 5 Free Spins symbols, next to each other, from left to right. Each symbol gives a mystery number of free spins: the more symbols, the higher the chance of lots of free spins. 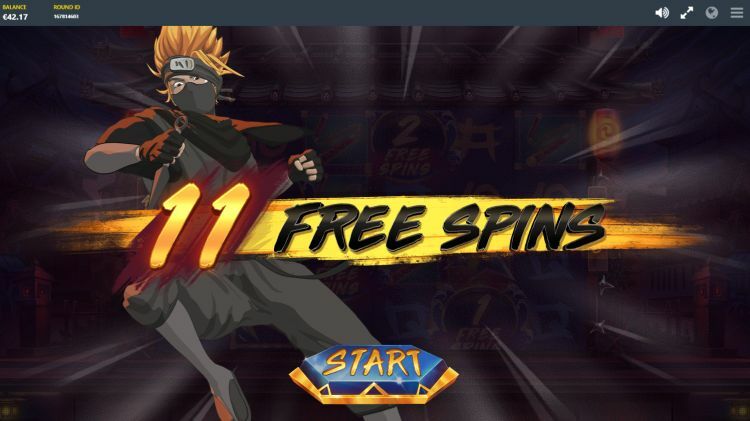 During the free spins, our beloved Ninja appears relatively more often, after which he starts to sprinkle with mini-features again. It’s relatively easy to earn extra free spins: with 2 or more scatters you win additional free spins. Red Tiger has released a topnotch video slot. 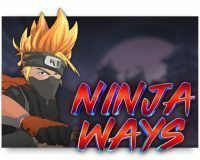 Ninja Ways is exhilarating, entertaining and fun: you can hardly stop playing. Where can you find Ninja Ways? The Ninja Ways slot is found at all reliable Red Tiger casinos. One of these Red Tiger casinos is Casumo, which is one of our favourite online casinos. 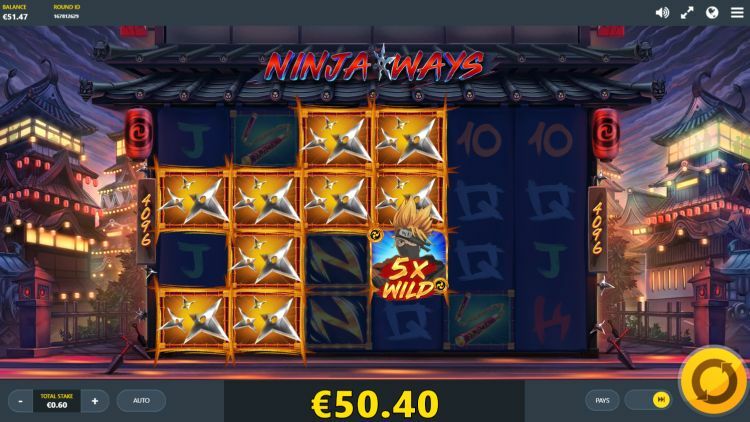 You can play the Ninja Ways slot at Casumo with a 200% bonus up to $€50 plus 200 free spins.